It is very straightforward. Paste the YouTube url into the box, and press the power button. After a shortish wait (can be longer if the video is long) you will be given the choice of downloading the audio as .mp3 and/or the video as .mp4. The demonstrative part of this video begins at 51 seconds in. ACS has a portable scanner that’s available for Vassar faculty members to borrow. It’s ideal for bringing to an archive to scan documents (if allowed) for later study. While it’s true that you can save an image of a document page with your phone/camera, a scan will give you a much more consistent and high-quality result. Most scanners are too bulky and heavy to consider traveling with, but not this one. 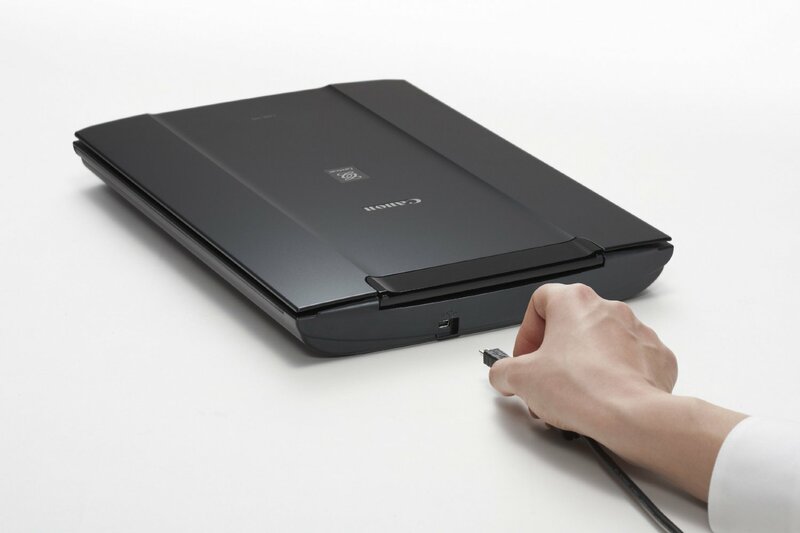 The Canon Canoscan LiDE 700F is essentially the size of a laptop computer. It’s less than 2 inches high, with a footprint of 11.5 x 16 inches. It weighs only 4.6 pounds. It can scan a letter-size document (8.5″ x 11″) with a resolution of up to 4800×4800 dpi. It fits snugly in a 12″ x 17″ 2.5″ padded carrying case. Contact your ACS liaison if you’re interested in borrowing it. 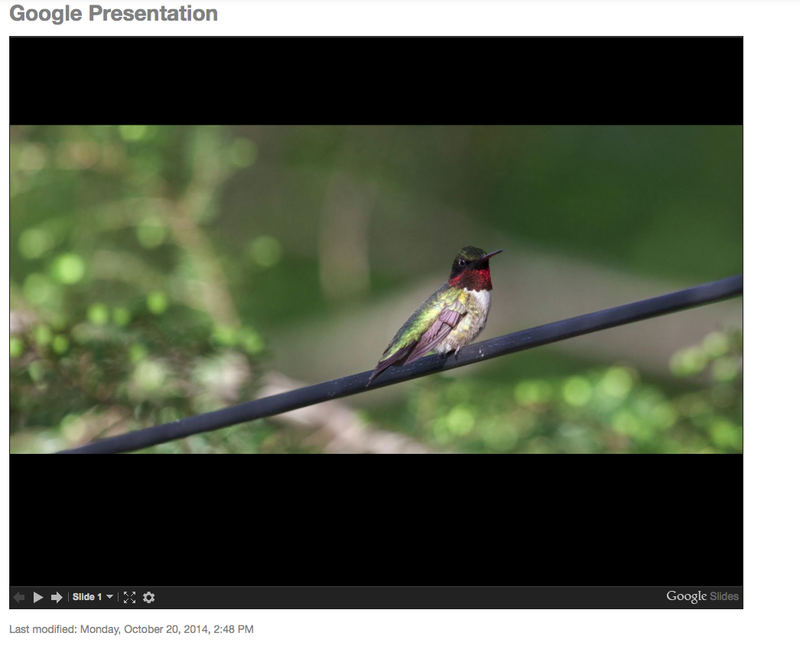 Keynote provides many tools for animating content of your slide presentation. One easy and very useful movement uses the Magic Move transition. This tool allows a panning movement across a large image. For example, if you wanted to show the entire length of a webpage or a large photograph, you could use the Magic Move transition to move across the page. This will work with any object that is in one position in the first slide and is in a new position in the following slide. For this this example, I captured a screenshot of an entire webpage that would require scrolling down in order to view all the content. In the first slide, the image is positioned on the slide so that the top of the webpage is visible. In the following slide, the image is positioned so that the bottom of the webpage is visible. Using the Magic Move transition, Keynote will create the panning movement between the two slides. Import image into Keynote slide by dragging and dropping it onto a blank slide. Duplicate the slide. 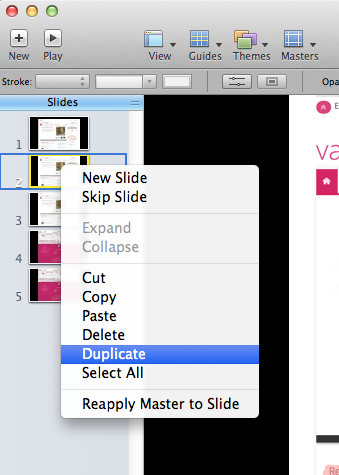 To duplicate a slide in Keynote, right-click on the slide you wish to copy, or select Duplicate Slide from the Edit Menu. On the new (duplicate) slide position the image so that the bottom portion is visible. Open the Slide Inspector window. 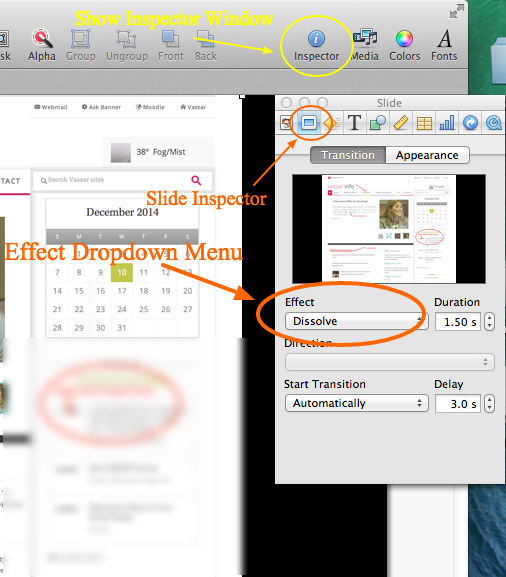 Click on the slide inspector icon then choose the transition tab. 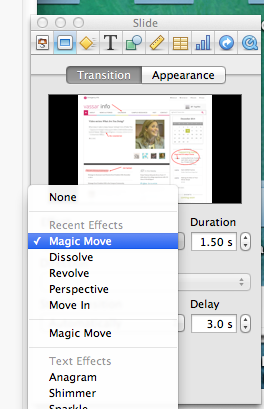 Under the Effect dropdown menu, choose Magic Move. You will also be able to choose the speed of the transition and whether or not to insert a delay before the start of the effect. It is available for Chrome and Firefox browsers, and it allows you to capture an entire webpage, or any portion of a page. 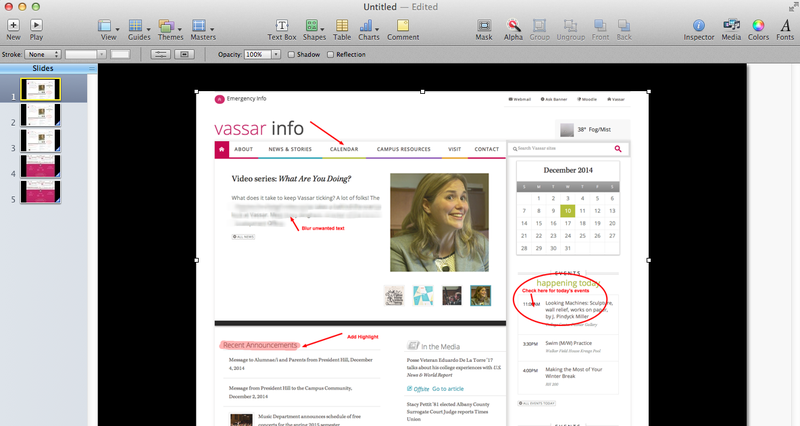 It also provides tools for annotating screenshots. Upload a PowerPoint or Keynote slideshow to Google drive and embed it in your Moodle site, and any changes you make to your presentation will be immediately reflected on your Moodle site. Your students will be able to view the presentation directly from within Moodle. 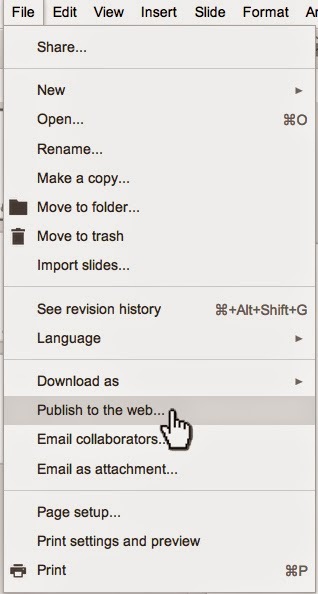 Once your presentation is uploaded, open it in your Google drive and click File > Publish to the Web. You will then see a dialog box that allows you to choose the size of your presentation and whether to Link or Embed. Choose the Embed tab, and copy the iframe source code. 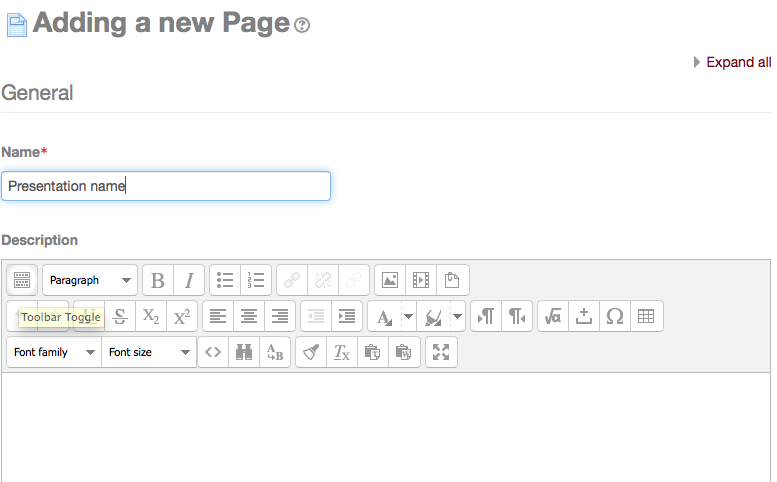 Now return to your Moodle site, turn editing on, and click on > Add an activity or resource. Add the name and description of your presentation. Make sure the toolbar toggle is turned on to reveal all the toolbar options. The toolbar toggle button is the first button in the upper left corner of the toolbar. Scroll down to the Content section (below the page description). 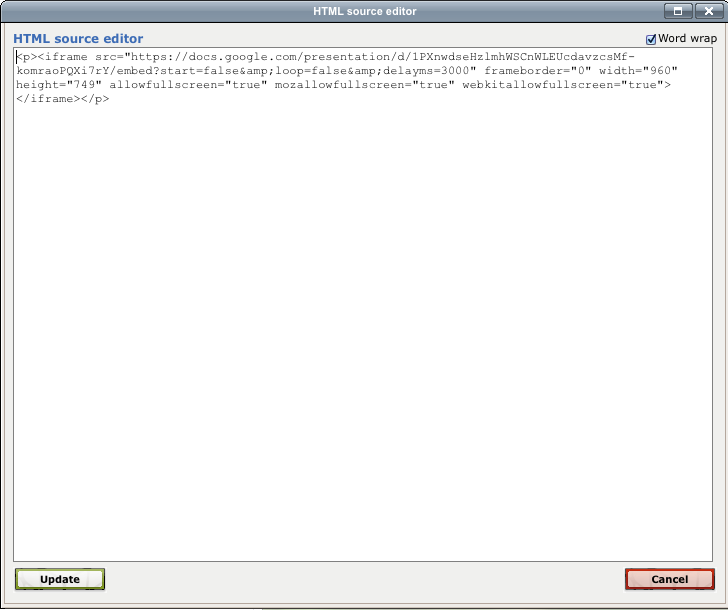 Click on the edit HTML source button (<>). 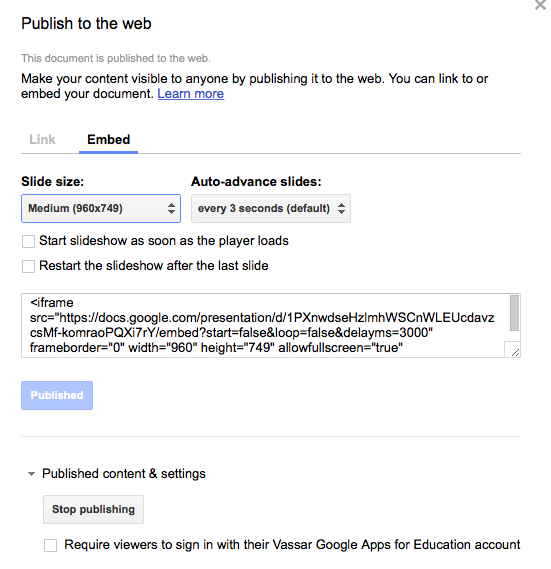 Paste in the Embed code that you copied from the Google Presentation Publishing page, then choose Update, to save. 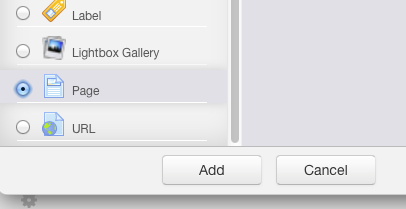 Click either the “Save and Return to Course” or “Save and Display” button at the bottom of the screen. Your Google Presentation is now live and published to your Moodle site. You can edit and update your slideshow from your Google Drive and your changes will automatically be reflected in your Moodle site. Note that you may need to refresh your browser page in order to see the slideshow. You may also embed your presentation as a Label instead of a Page in Moodle. When adding and Activity or Resource, choose Label instead of Page (all other steps remain the same), and your slideshow will be immediately visible from a section on your course page. If you want to embed video that is stored on your Google Drive you can copy the iframe code from the Google Drive Viewer. This is a great option if your video is not posted on YouTube or Vimeo. After uploading your video to Google Drive, select it and choose Open with > Google Drive Viewer, from the More drop-down menu. Once the video is open in Google Drive Viewer, click on the three vertical dots on the top menu, then choose Embed item. Copy the embed code into a page or label using the HTML editor button in your Moodle site, following the same procedure as described above, to embed a slideshow presentation. 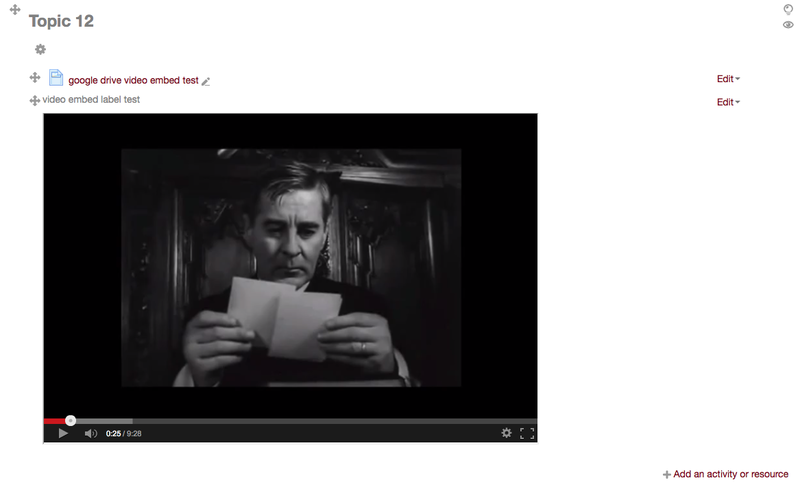 If you embed the video into a Moodle page then you will see the page icon. When clicked, it will open a separate window for viewing the video. 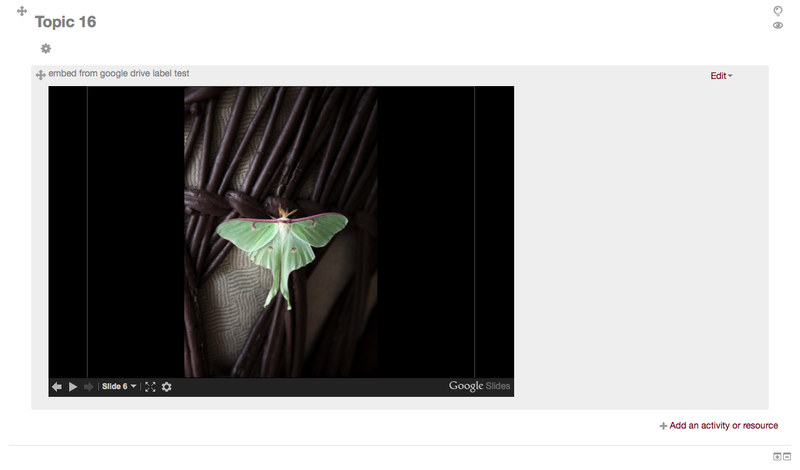 If you embed the iframe code into a Moodle label you will see the video embedded in your course front page. 1. An instructor can record a video or audio message directly onto the main page of a Moodle course, or into the instructions of a discussion forum, or even into the description field associated with a file. Previously you would have to use some other software to make the recording, then upload it into Moodle; now no other software is necessary. 2. You can create an assignment (or a quiz) in which students reply by recording themselves. Many instructors use Moodle’s Assignment activity to collect files (like research papers or homework exercises) from students. Now the Assignment activity can also be used to collect video or audio recordings from students. If you’re not yet feeling muddled by Moodle’s PoodLL, you might try noodling with an audio or fiddling with a video. There’s also a whiteboard function, so you could doodle in Moodle’s PoodLL. More on that in a separate post. The term “interactive PDF” refers to a PDF file designed to be viewed on screen. Interactive PDF features are the parts of a PDF that provide your audience with additional functions that are more commonly found in websites. 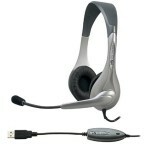 Some of these features include buttons, hyperlinks, rollover states, embedded sound, and video, among others. Designing an interactive PDF might be advantageous when you want to create an interactive experience for your reader but don’t necessarily want to place this content on a website. 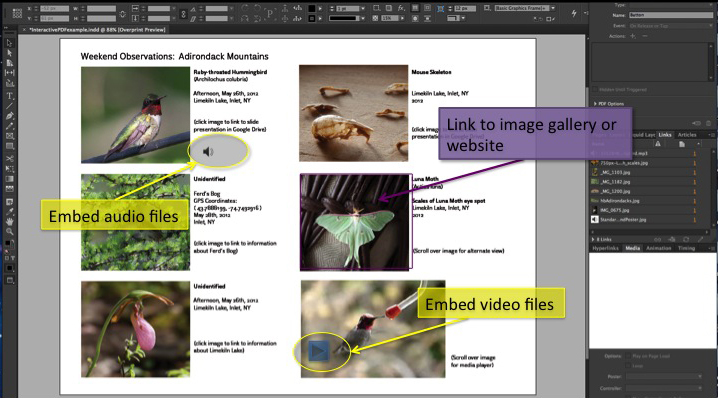 Using Adobe InDesign also allows for total creative control of your design, unlike most blog or webpage templates. Another advantage to creating an interactive PDF is that the file size is generally small and easily sent by email. There are some disadvantages to this format though. To take advantage of the interactive features, your reader must view the file in Adobe Reader. If the file is opened in a web browser or other programs like Preview, the results are often unpredictable. Another drawback is that while InDesign is a powerful program, it takes some time to learn the design workflow. I have found Lynda.com tutorials to be very helpful in providing basic introductions for creating interactive PDFs. Recently, Vassar’s Art History Department chose to use the interactive PDF format to build study guides for Art 106. Students in this course are required to identify many works of art and architecture, but making these images available to students in a clear and concise manner has been a challenge for faculty. Interactive PDFs allow students to view a thumbnail image of each work, along with the corresponding metadata. When these thumbnails are clicked, they link to the Luna database that stores high-resolution, and detail views of each work. When the viewer scrolls over each thumbnail, the caption next to the image disappears. Scrolling on and off the image functions like using a flashcard, and is useful for self-quizzing. Even though this format is designed to be viewed on screen, it can easily be printed as well. Here are links to two interactive PDfs that demonstrate several of the features mentioned in this post. For proper functionality, remember to view these documents in Adobe Reader. Click here to view an example of the Art 106 interactive PDF. Click here to view an example of other interactive PDF features. Narrated recordings of slides can be useful for providing supplementary information to students, or to help prepare for upcoming class activities. They can serve as a component of a flipped, or partially-flipped, classroom, or simply provide complementary material for a traditionally-structured classroom. Microsoft PowerPoint and Macintosh’s Keynote are two of the most popular software options for producing slideshows. In Keynote, narration of a slideshow results in a single audio file, whereas a PowerPoint slideshow narration produces individual audio clips for each slide. The single audio file model of Keynote introduces some difficulties when one wants to insert a slide, or rearrange slides, after the full presentation has been recorded. While one can generate individual audio clips in an external program, such as QuickTime Player, and drag them into Keynote, it is not a simple process and, in the end, PowerPoint wins out for the flexibility and simplicity offered by its model of an individual audio clip for each slide. 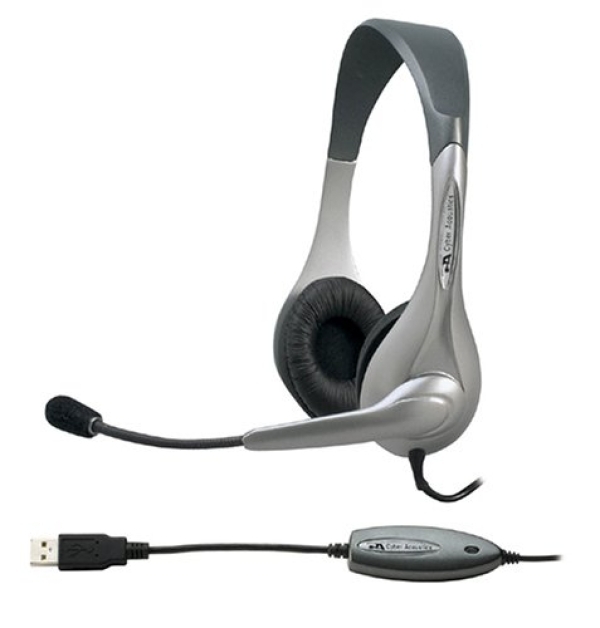 Using your computer’s built-in microphone or a USB microphone, you can create your own narrated slideshow. The following instructions are specific to a Mac, however the procedure is very similar when using a PC. After connecting the mic, if necessary, be sure to select the appropriate audio input/output source in system preferences. Open your PowerPoint file and select the first slide. Click the tab labeled Slide Show. Then, under Presenter Tools, select Record Slide Show. After selecting Record Slide Show, the audio recording screen opens and recording starts immediately. You can pause ( ll ), restart ( ↺ ) & continue ( ▷ ) as needed. Click on the forward arrow at the bottom of the current slide (or use arrow keys) to advance. Press the esc button or Exit Show at top-center to finish recording. 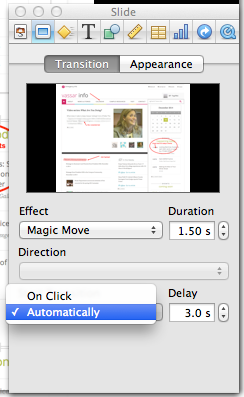 Select yes when asked if you want to save your slide timings (this includes audio). As you can see, the procedure for creating a narrated slideshow in PowerPoint is quite simple. 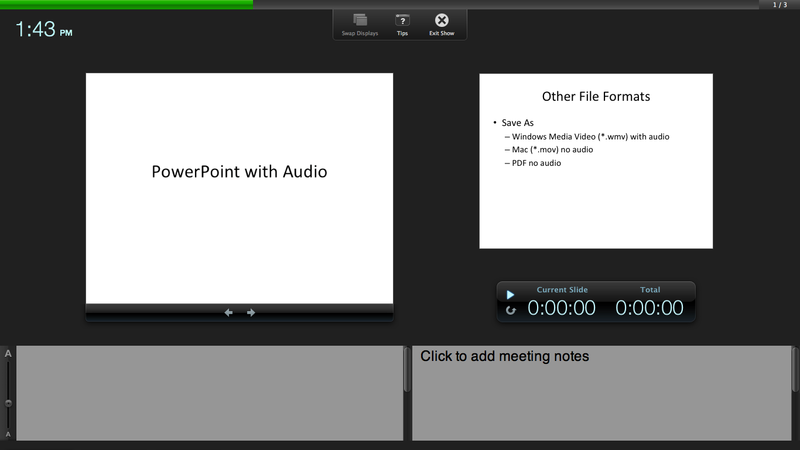 Screenshot of audio recording in PowerPoint on a Mac. Any subsequent editing is also straightforward. For example, to re-record audio for a single slide, simply select the slide, then select Slide Show → Record Slide Show. Make your recording for the individual slide and esc, or Exit Show, when finished. You may also insert a new slide anywhere in the lineup and add audio to that single slide without causing the audio to fall out of sync on the original slides. Another layer of multi-media that one may take advantage of is that of adding video/movie clips to slides. It is not a difficult task and may be worth exploring as an additional enhancement to your presentation. It is important to save your presentation as PowerPoint Presentation with the filename extension *.pptx. The format designed to be compatible with earlier versions of PowerPoint (PowerPoint 97-2003 Presentation), which uses the extension *.ppt, has a number of features disabled. As a result, students watching the slideshow on a Windows machine will not be able to take advantage of the “s” shortcut for pausing and restarting the presentation. 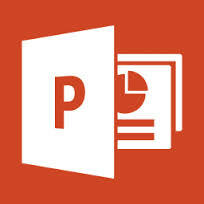 Finally, when you are ready to share your presentation with students by posting it on your Moodle site, for example, you may wish to save it as a PowerPoint Show (*.ppsx). When students double-click on the file icon, it will automatically launch into the show mode, and they won’t be able to edit your slides. If you have any questions or would like additional information, please contact Shelly Johnson, ACS liaison for the Sciences, at x7866 or mijohnson@vassar.edu. Last summer the decision was made to use Final Cut Pro X as the supported video editing software for Vassar students. CIS deployed FCP X in the Film Department’s editing labs as well as in the Digital Media Zone in the library. To help us adapt to the switch from beloved FCP 7 to FCP X, we organized an on-campus workshop with Roberto Mighty. For two days Film faculty and CIS employees worked shoulder to shoulder, getting valuable hands-on experience with an interface that was new to most of us. There had been quite a controversy about Apple’s changes from FCP 7 to FCP X, and most of us were apprehensive about the switch. But after two days of excellent instruction, our general sense was that the FCP X could generally do anything FCP 7 did, and it did some things better. I was looking forward to using it with students. Past years I’ve worked with French Faculty with students who were tasked with creating digital storybooks. (For more on the pedagogical goals of this project, I invite you to read Digital Storytelling in Intermediate French.) Early in the fall, I met with Tom Parker and Mark Andrews to discuss their classes’ projects. In small groups, the students compose and illustrate children’s storybooks in French, which they scan and narrate. Previously we’d uploaded the images to VoiceThread and done the recordings via their online Flash interface. 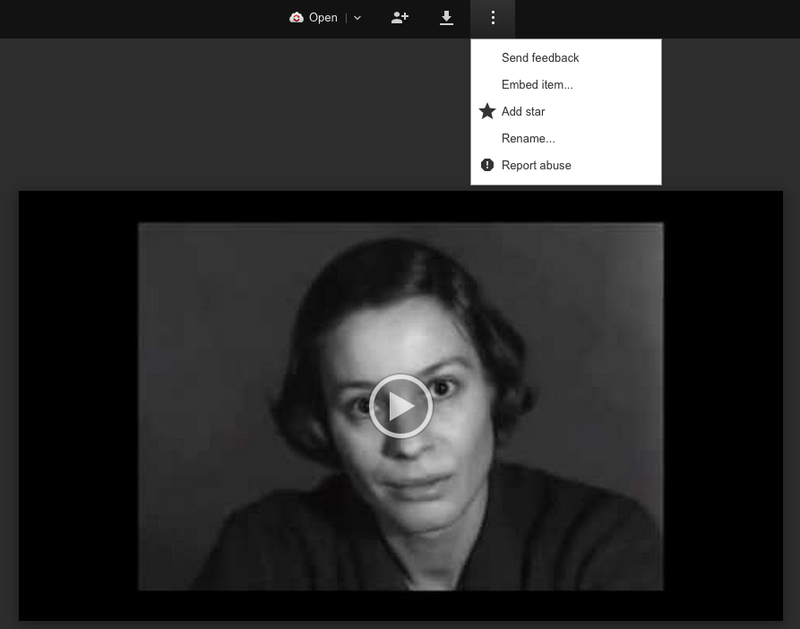 Students were able to upload and record easily enough, but I found other aspects of VoiceThread lacking (editing, layering audio, search, embedding, restrictive licensing, to name a few). FCP might be harder to learn, but once learned, they would have total flexibility on how they created their projects and they would have a skill that might be used for another project or life after college. Tom and Mark were amenable to the idea so we tried it out. I liked how they were able to incorporate both their narration and some sound effects. The use of titles, music and end credits added a bit of polish too. I should add that most of the students I work with have little to no experience with video or sound editing. So for me and my work, FCP X has been a win. It is an easy to learn and very capable video editing platform. Students are able to get up and running with their video projects in a way that would have been too daunting to attempt in FCP 7. (One hurdle is that special formatting is required for projects on external drives to show up in FCP X.) Students do have the option to download a trial version of FCP X, which is often all they need to get through a project. I’ve already got one class scheduled to use FCP X this semester: Candice Swift’s ANTH 245: The Ethnographer’s Craft is going to use FCP X to create digital enthnographies; they will use Final Cut to create voice-overs on top of stills and video. I am looking forward to this FCP X project and others like it this spring. 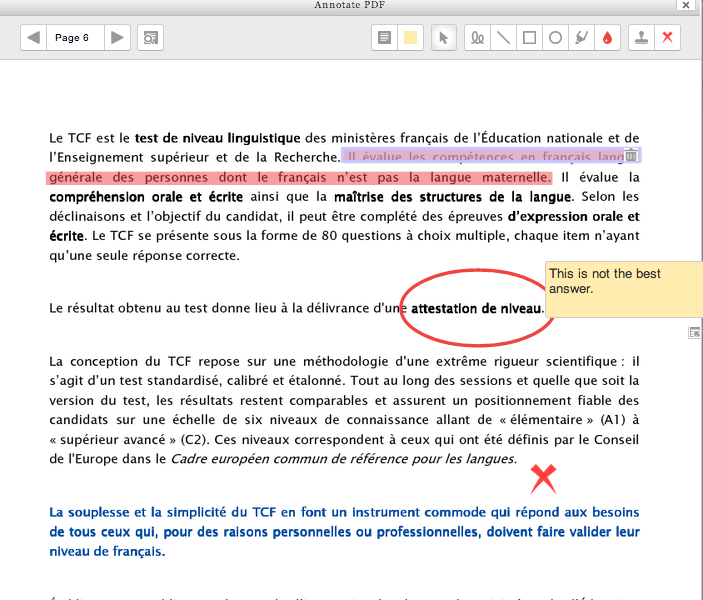 With the recent upgrade to Moodle 2.6, instructors have a new function available: If a student uploads an assignment in the form of a PDF file, the instructor can make various types of annotations to the file directly within Moodle. Previously, they would have to download the file, use some program that provided annotation functions, then upload that revised version to Moodle, for the student to download. Now that can be done within Moodle. 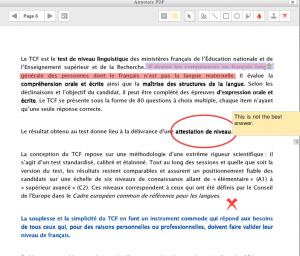 Annotation functions include highlighting, circling, drawing, stamping an available graphic (like a checkmark or an X), and writing Post-It-type notes. R is becoming the most widely used statistical software in academic science and it is rapidly expanding into other fields. R is a free language and environment for data manipulation, calculation, graphics and much more. It runs on all of the major platforms, including Windows, Mac and Linux. While it is command line driven, several good graphical user interfaces (GUIs) exist that open it up to a wider group of users with differing technical abilities. 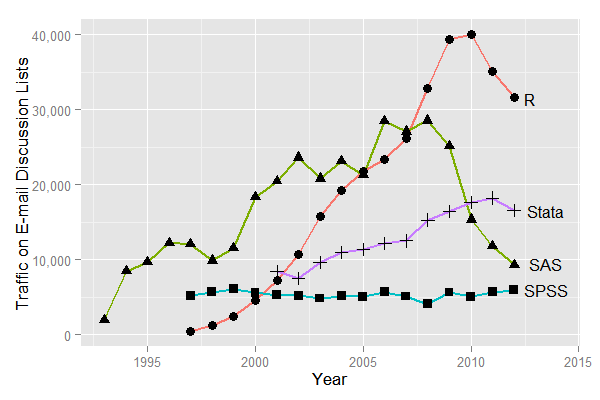 When various metrics for the most popular data analysis software packages are compared (Muenchen, R.A., 2013), R demonstrates a dramatic increase in popularity over the previous 5 to 10 years. A plot of posts to email discussion lists, shown below, illustrates a rapid growth in discussion of R. And over the past few years, R has become the most discussed software by nearly a two-to-one margin. However, one must be careful when interpreting these results. For example, the consistently low level of discussion for SPSS may be reflective of the fact that it has a simple interface leading to less of a need for discussion. However, there are also fewer variations in analysis offered in SPSS than those that exist in R and other applications with somewhat less user-friendly interfaces. Sum of monthly email traffic on each software’s main listserv discussion list. From “The Popularity of Data Analysis Software”, http://r4stats.com/articles/popularity/. Over the past few years, a number of GUIs for R have been developed that make R more accessible to a wider group of users. RStudio, a popular GUI for advanced users, is what is known as an integrated development environment. This interface is similar to MATLAB, is designed for programmers, and provides syntax highlighting and integrated help among other features. 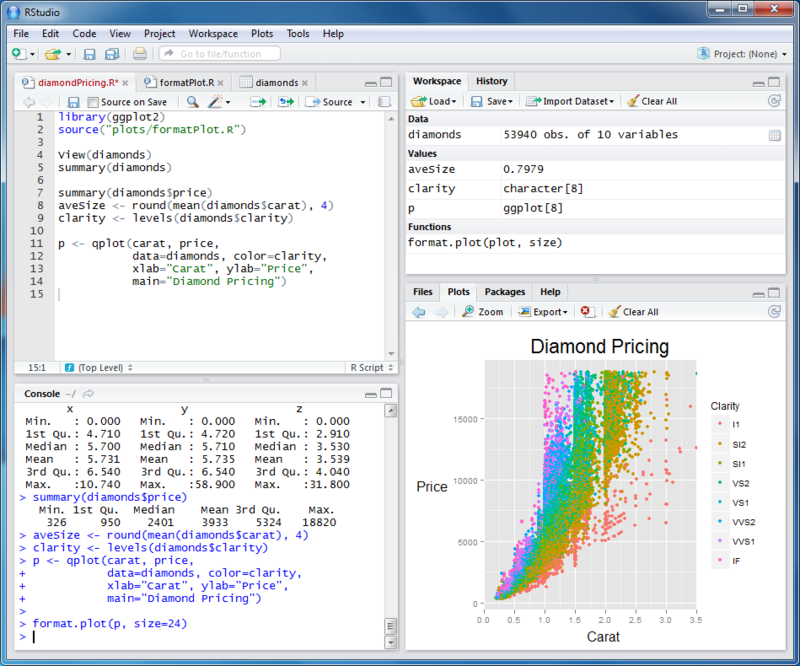 Screenshot of the popular Rstudio graphical user interface. Rcmdr, pronounced Rcommander, is a basic-statistics GUI that offers menus, buttons, and dialog boxes to simplify usage for those with less advanced technical skills. The commands that are generated via the user’s actions are shown in an output window. They can be edited and resubmitted, if desired, helping to familiarize the user with the R language. This is useful for those with moderate technical ability who are interested in learning basic R commands. A third R GUI, Deducer is designed to be a free, easy-to-use alternative to proprietary data analysis software such as SPSS, JMP, and Minitab. It has a menu system to do common data manipulation and analysis tasks, and an excel-like spreadsheet in which to view and edit data frames. Screenshot of the Rcmdr graphical user interface. 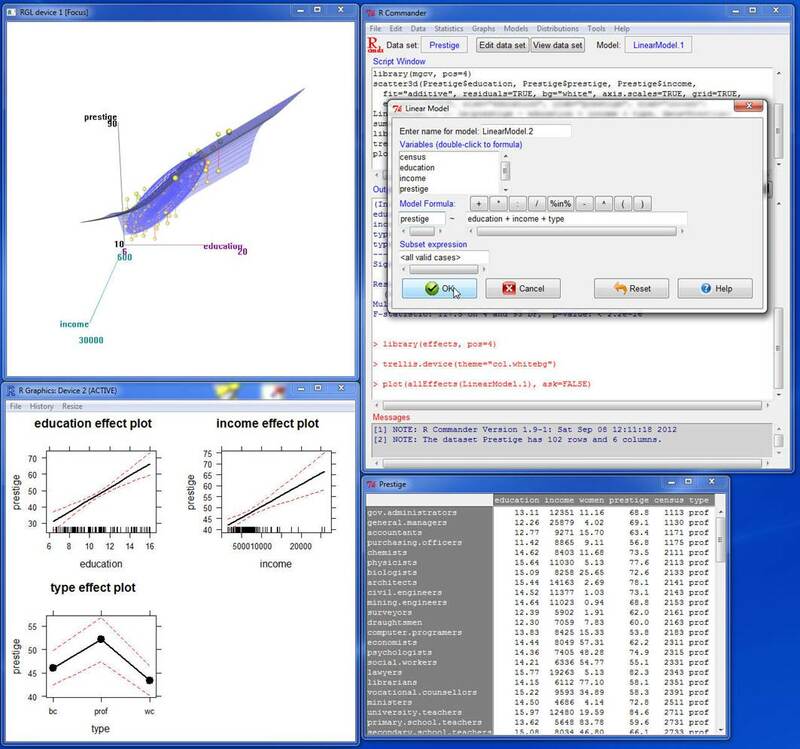 R and RStudio are installed in the SciVis Lab located in the Mudd Chemistry Building. Additionally, both R and the GUIs mentioned above are freely available and can be easily installed on your personal computer. RStudio also offers a web-based version that can be used in lieu of the desktop version. The availability of a web-based server means that one doesn’t have to install software on a personal computers or go to a computer lab. It can be accessed anywhere there is an internet connection. Our system administrators are in the process of evaluating whether it is feasible to host an RStudio web server on campus, and we are hopeful that this convenience will soon be available to the Vassar community. If you would like to learn more about R, please contact ACS liaison Shelly Johnson.